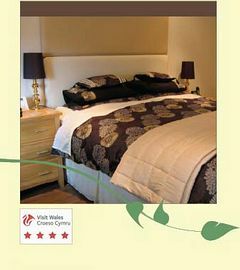 Great access base to all areas of South Wales. Brecon Beacons and fabulous walks/outdoor pursuits in area. 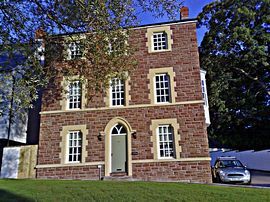 Ty Llew is a newly built town house situated in Abergavenny, Wales at the heart of the beautiful Brecon Beacons National Park. We are located just off the A40 a mere 30 minutes from the M4 and just a 1 hour drive from Wales' capital city, Cardiff. 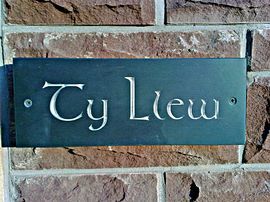 Ty Llew is the perfect choice for weary travellers, looking for a friendly and relaxed atmosphere in which to stay. Beautifully combining contemporary elegance and comfort, each of our rooms offers everything you'd expect and more...fitted with direct dial telephones, wireless broadband, i-Pod docking stations; also equipped with TV and DVD facilities. We make use of fresh local produce, supporting nearby growers and producers, to provide nothing but the best for our paying guests. 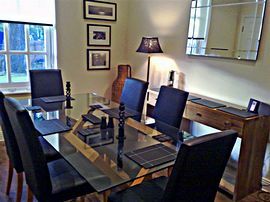 From: £35.00 per person per night to £55.00 per person per night. 24 hrs 52 weeks a year. Pet Facilities: Pets are allowed. Only in garden and kept overnight in large kennelled area. Follow signs for Registry Office then turn left opposite into Larchfield Grange.